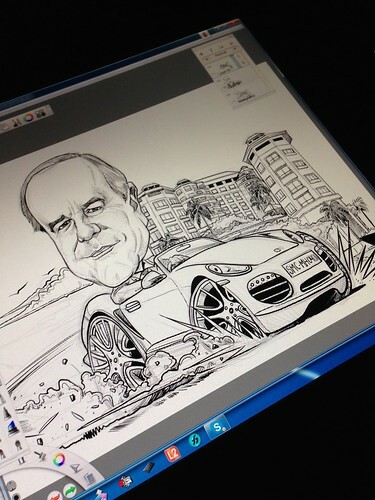 "I would like to order a caricature for our President of Swissotel Hotels & Resorts who will be leaving the Company. 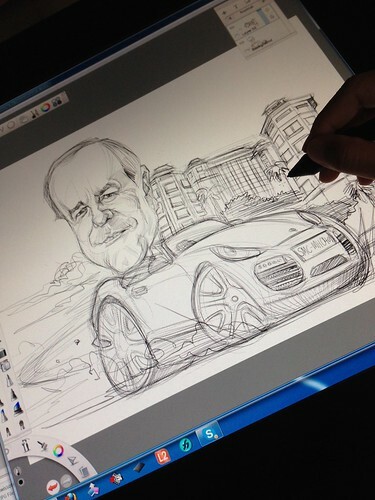 The idea is to have him sitting inside a Porsche with our hotel building as the background.....The number plate: “SMC-MH 0401”...."
Pencil sketch in Sketchbook Pro. 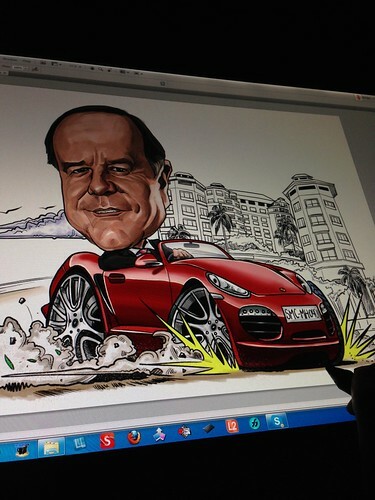 I presented the caricature to our management team this morning and lots of compliments from the team! 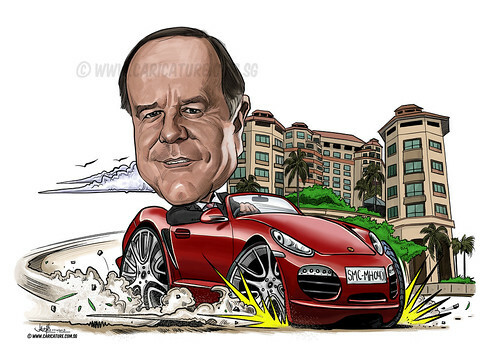 J"